With Sony taking a sabbatical from other events and major conferences (they’re not going to be at E3 this year) fans were recently left wondering how the company would be making announcements and debuting trailers. 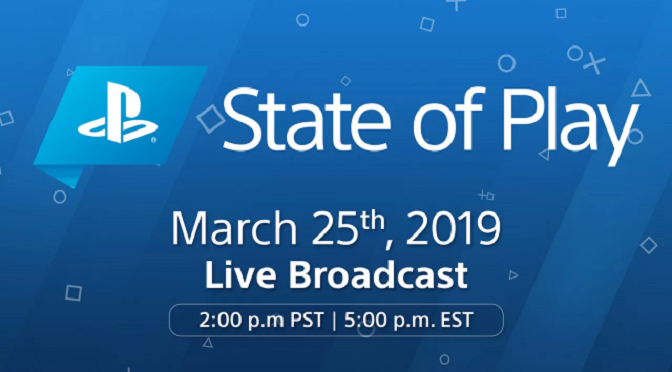 However, the gaming and tech giant announced today that their new “State of Play” event will be taking place on Monday, March 25, 2019. State of Play will allow Sony to feature new announcements, trailers, and provide updates on already-revealed titles in their pipeline. As stated on the PlayStation blog this morning, the first episode of the event will primarily focus on upcoming PS VR and PS4 games. We as fans will get a chance to see some new trailers, new title announcements, and get a look at that sweet, sweet gameplay footage. As we mentioned earlier, Sony is skipping out on the annual E3 conference this year, marking the first time in the conference’s history that the company has ever done that. They also opted to not hold a PlayStation Experience event for 2018. When talking about that decision, SIE Chairman Shawn Layden cited the company’s workload and said, “Now that we have Spider-Man out the door, we’re looking down into 2019 to games like Dreams and Days Gone. But we wouldn’t have enough to bring people all together in some location in North America to have that event.” He also talked later on about their choice to not attend E3 in 2019, and dropped what many believe to be a teaser for the State of Play event. In an official statement, the company indicated that the team would be “exploring new and familiar ways to engage our community in 2019”. Lest you think that Monday’s stream will be the only chance this year for gamers and fans to get a look at what Sony has planned, never fear. The company ended their blog post by saying that “State of Play will return throughout the year with more updates and announcements”. 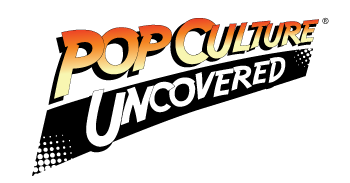 We here at PCU will be keeping an eye out for the next dates for these events. Now, you know that we’ll be tuning in. Will you? Let us know what you think about Sony’s event and what you hope to see by leaving us a comment down below, or by hitting us up on Twitter and Facebook!